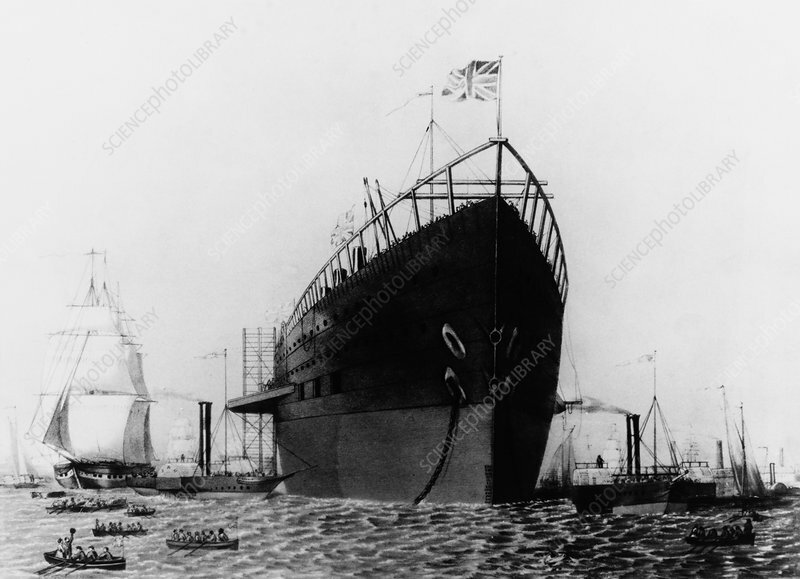 SS Great Eastern. Photograph of a late 1850s engraving, showing the SS Great Eastern fitting out in the River Thames, off Deptford, UK, following her 31st January 1858 launc. This steamship was designed by Isambard Kingdom Brunel and was by far the largest ship ever built at the time of her launch in 1858. She was originally christened as Leviathan, but was thereafter known as Great Eastern.